From top to bottom: Our mustard Liberty of London print is the most divine of colours. 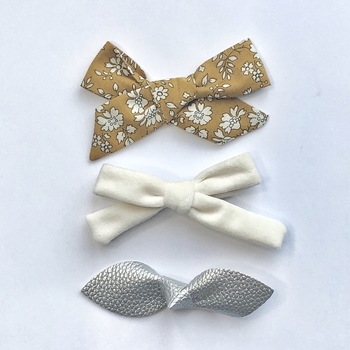 Next we have a cream velvet and last is our faux silver bow. Free delivery. Gift message options are available at checkout.